A Labour MP has made an official bid for Harvey Weinstein to be stripped of his CBE over a string of sexual harassment claims. 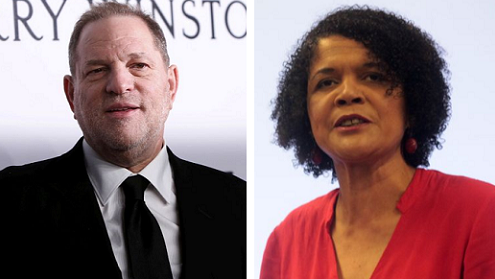 Newcastle MP Chi Onwurah has written to Civil Service chief Jeremy Heywood to officially request the movie mogul's honour be referred to Parliament's Honours Committee. To strip someone of their knighthood, the letter explains, requires a decision of the Honours Forfeiture Committee - a panel of top civil servants - with the approval of the Queen. They have usually been removed on the basis of criminal convictions, official censures from professional bodies or actions related to the honour. They can also be considered if a person retaining their honour would bring the honours system into disrepute. She wrote: “I am therefore writing to you to refer Mr Weinstein to the Honours Forfeiture Committee for consideration of removing his honorary CBE. “In addition to the allegations referenced in the letter, on Saturday the Academy of Motion Picture Arts and Sciences voted to expel Mr Weinstein. One of the criterion listed by the Government for forfeiture of an honour is if the individual in question is ‘censured or struck off by a professional or regulatory body for something directly relevant to their honour.